Hospitality and Catering students showcased the skills and techniques they have learned on their courses at the Promotion of International Gastronomy Society (PIGS) Ladies’ Night on 8 February. 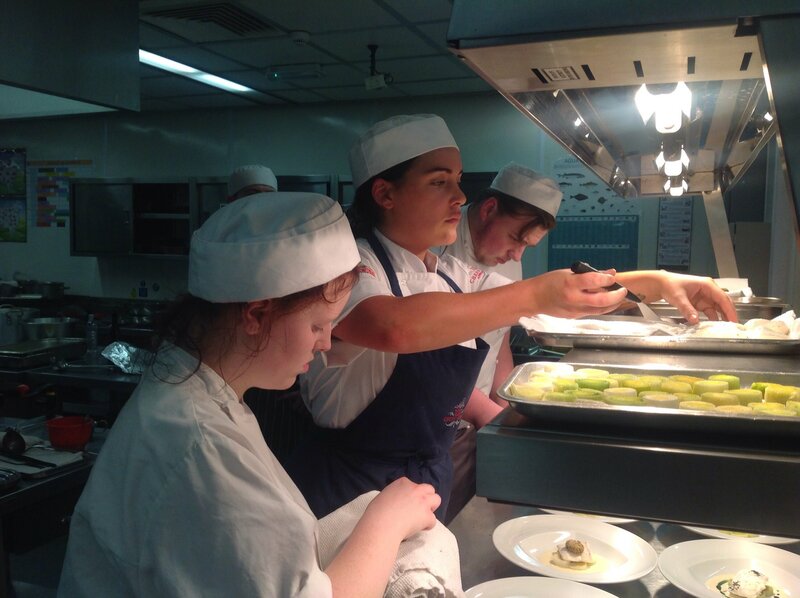 Members of the society were treated to a night of several courses created by Havant & South Downs College (HSDC) students, which were served with a separate wine for each dish. 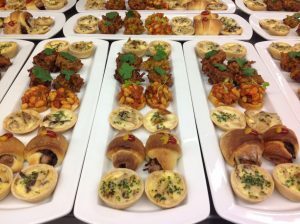 PIGS banquets are an excellent opportunity for students to gain experience of a real-life big event, and all ingredients are provided by the society to give students the chance to cook with high end foods. 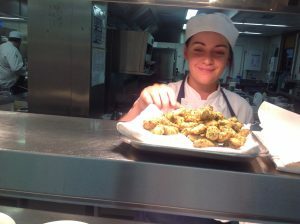 Level 3 Professional Cookery student Morgan Fleet was the head chef for the evening banquet. He said: “For the mains we are doing duck with a potato fondant, butternut purée and tenderstem broccoli. I have been looking forward to cooking that dish the most because there are elements to it you wouldn’t expect, such as the sauce served with it. Fuller’s apprentice Jamie-Seabreeze Richards has been working at the Old Customs House in Gunwharf Quays for the past year. She said: “I’ve really enjoyed my Apprenticeship so far, they have been really welcoming. I’ve definitely learnt time management and how to work under pressure. PIGS members were greeted at the HSDC reception by Hospitality students with champagne and canapés. 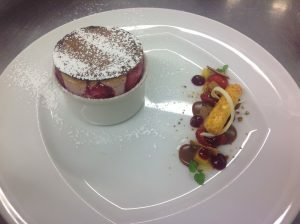 PIGS Chairman, Neil Hudders, said: “I like to see the students take our ingredients and make the dishes their own. I like to see them have a go and the enthusiasm that comes with it. “Everyone seems busy but having fun and under control, it’s superb. And to see them get their certificates is great, they are still really valued within the industry.